After the announcement of AirPrint, Apple released the very first version of iOS 4.2 beta for registered members of Apple’s iOS developer program. After an official word, the gadget famous firm has unleashed the latest OS for developers. With the launch of iOS 4.2, Apple brings in the features of iOS 4 to the iPad as well as unifies Apple’s mobile software platform. The update will not be available for download until November. Apple CEO, Steve Jobs, announced earlier that the iPad would have the ability to print wirelessly through the iPad. 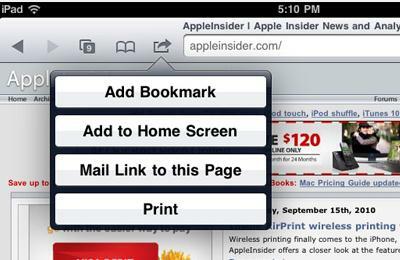 On Wednesday, Apple announced the feature of AirPrint which would provide the users to print either from a compatible printer from HP or via a printer share with your MAC or PC. With the induction of AirPrint, third party developers have also been provided support for integrating it with their own applications. AirPrint is Apple’s powerful new printing architecture that matches the simplicity of iOS. There’s no set up, no configuration, no printer drivers and no software to download. Another great feature which the iOS 4.2 brings in is the AirPlay, a new and improved version of AirTunes. AirPlay would provide users to stream media from an iPad, iPod Touch or iPhone to any AirPlay compatible device. Currently the feature is made available for AirPort Express units and the Apple TV. It has also been reported that Apple is licensing this technology to other vendors to allow them to sell AirPlay compatible products. 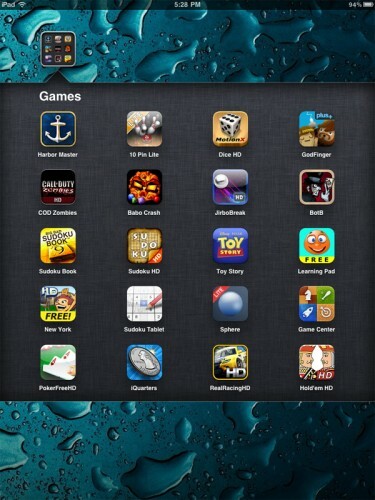 does anyone know where i can find that raindrop wallpaper on the ipad?